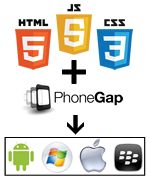 The PhoneGap course teaches you how to create mobile phone applications and bridge them into a native web view without the need to configure STKs. Coding in Angular.js, you'll build an artist directory, implement search and sorting options to build an angular application. Please check back our website again soon for dates or contact us. Please read our frequently asked questions or contact us.